Epson projectors are the #1-selling projector brand in the U.S. and worldwide for a reason. Their projectors have outstanding image quality that enhance communication, inspire collaboration, offer a low total cost of ownership, and have excellent reliability and service. Epson has a projector for every environment: corporate meeting rooms, small classrooms, and auditoriums. 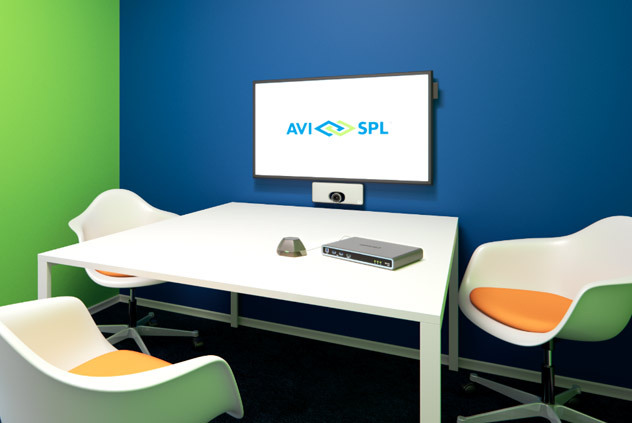 As the world’s largest and most trusted AV integrator, AVI-SPL partners with innovative projector manufacturers—like Epson—to give you access to the best presentation solutions in the industry. Epson BrightLink Pro projectors transform yesterday’s conference room into tomorrow’s collaborative meeting space. Unite people, ideas, and technology in a seamless digital experience. The BrightLink Pro facilitates better communication by turning nearly any flat surface interactive, displaying larger-than-life, Full HD WUXGA images up to 100″ diagonal. Additional features for the BrightLink Pro 1470Ui include enterprise-level wireless security and whiteboard sharing for local and remote collaboration. Four medical-grade Epson projectors typically display high resolution medical images in all of the conference rooms as well as in the auditoriums and classrooms. AVI-SPL and Epson work together to transform ideas into great customer experiences. As one of the most trusted manufacturers of projection equipment worldwide, Epson provides collaborative presentation solutions for every need – from meeting rooms and learning facilities, to auditoriums. EPSON BrightLink Pro 1420Wi Projector – Integrates the utility of your whiteboard, projector and interactive display and easily connects to video conferencing equipment. EPSON BrightLink Pro 1460Ui Projector with Table Mount – Collaborative whiteboarding solution integrates the utility of whiteboard, projector and interactive display and allows local and remote participants to annotate content. EPSON PowerLite Pro Z9870UNL Projector – Combines bright projection with Full HD, WUXGA performance, perfect for installation in auditoriums, lecture halls and other large venues. EPSON PowerLite Z9800WNL Projector – Combines bright projection with WXGA, native widescreen performance perfect for installation auditoriums, lecture halls and other large venues. EPSON PowerLite 1286 Wireless Projector – Full HD projector with a wide-screen WUXGA resolution (1920 x 1200) offers 3200 lumens of color brightness and white brightness to display crisp, vivid images in 1080p. EPSON BrightLink Pro 1470Ui Projector – Powered by breakthrough laser technology, this projector can turn nearly any flat surface into an interactive display, showing larger-than-life images up to 100” diagonal. Whether you are adding huddle spaces, creating an open collaboration area, or designing a boardroom, display technology brings people together in a way that goes beyond talking about ideas. It allows them to all work on the same project at the same time— to collaborate.